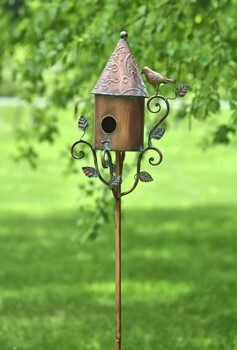 The bird houses here are not only beautiful, but functional as well. 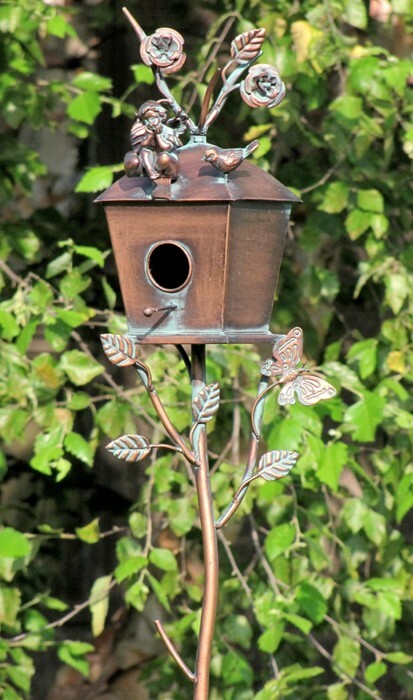 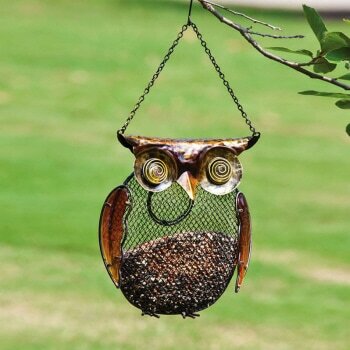 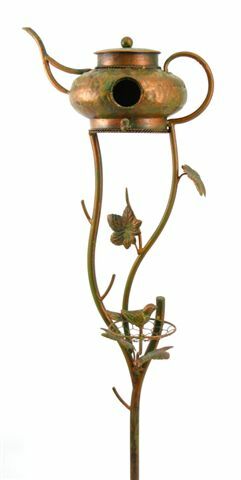 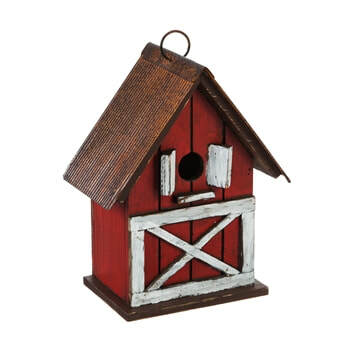 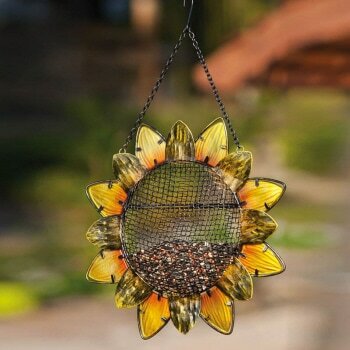 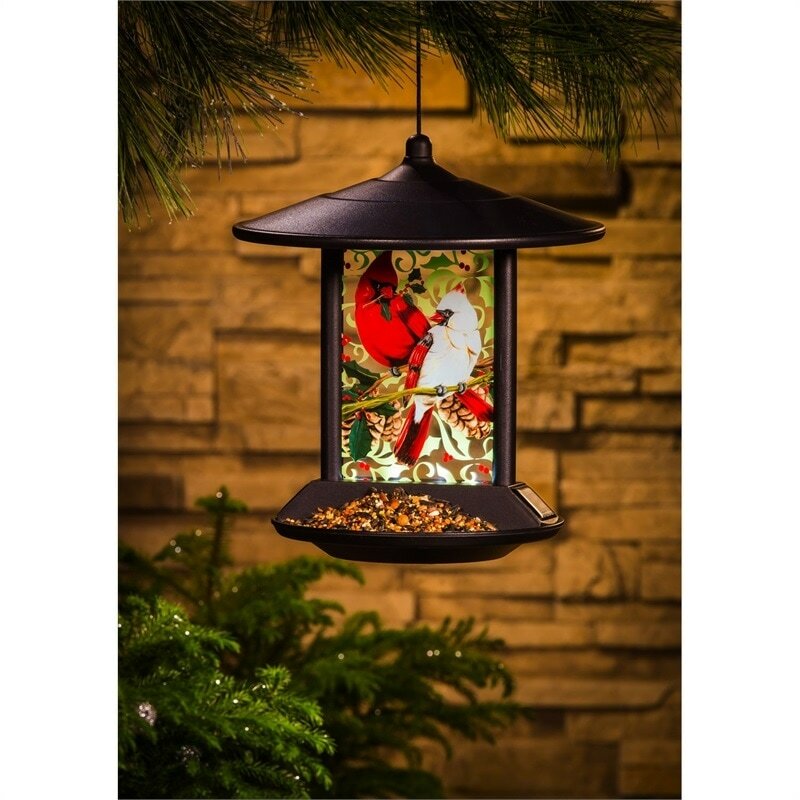 The bird feeders in the shape of birds and sun flower attract any kind of bird that likes to cling to eat. 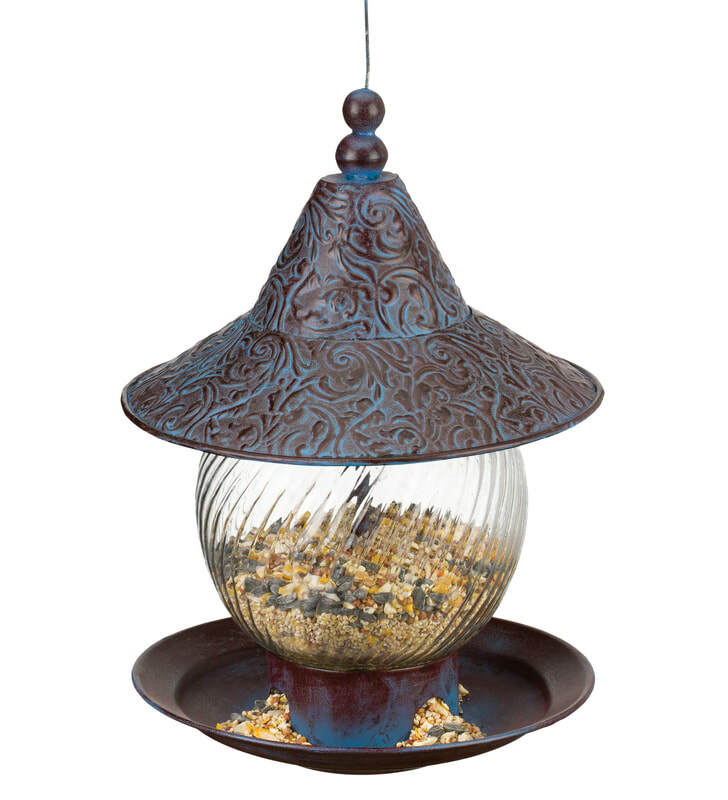 These feeders will attract black-capped chickadees, the tufted titmouse, and all kinds of woodpeckers. 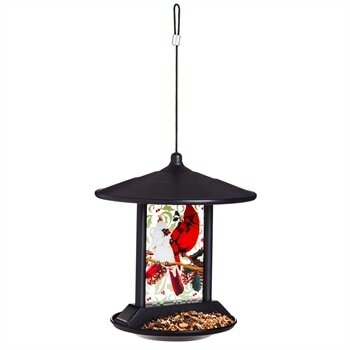 Fill with unsalted peanuts, suet or sunflower seeds. If using peanuts, the birds will peck the meat out of the shell and then you can dump the empty shells to refill the feeder. 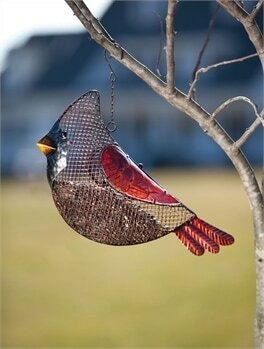 The other feeders will attract cardinals, blue jays and other birds that like to be flat while eating.